GAIKA, Amnesia Scanner As Oracle, M.E.S.H. featuring Michael Guidetti and Eartheater are among the final confirmations for Barcelona’s eighth MIRA Festival. Returning to Fabra i Coats from Thursday, November 8th to Saturday, November 10th, there will be performances, exhibitions, talks and workshops plus an afterparty at Razzmatazz. 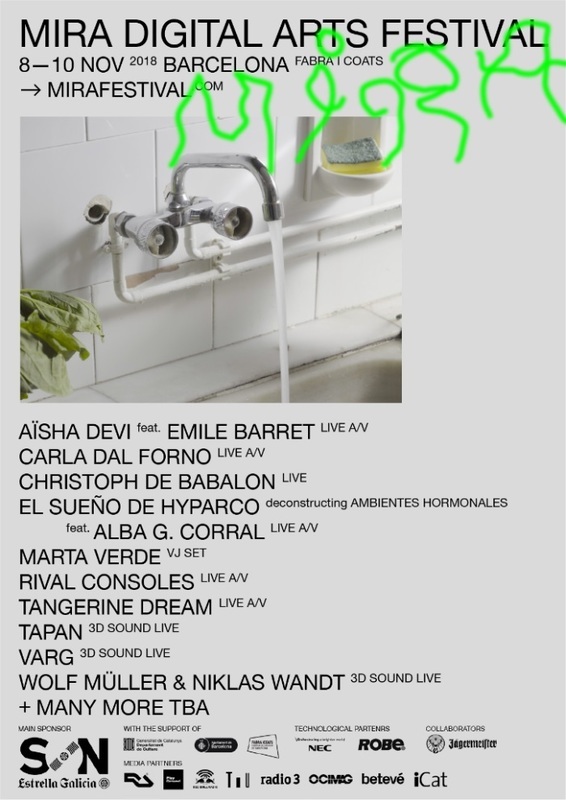 MIRA’s opening concert on Thursday, November 8th will see PAN celebrate 10 years of the label with Amnesia Scanner making her Spanish premiere presenting As Oracle live A/V supported by M.E.S.H. with Michael Guidetti on visual duties and Eartheater performing a live set around new release IRISIRI. Warp’s GAIKA will headline with an an A/V show. Across the Friday and Saturday MIRA will see sets from acts such as Tangerine Dream, Venetian Snares x Daniel Lanois, Yves Tumor feat. Ezra Miller, Avalon Emerson, Call Super and DJ Stingray while talks, workshops and Q&A’s will include the chance to hear from Claire Tolan, Filip Custic and Keiken. For the official after party, MIRA will take over Razzmatazz with headliner Objekt supported by left-leaning house trio Mr TC playing live. Barcelona natives Tutu, Omega III and DJohnston round off the bill with tickets on sale soon. MIRA Festival music performance day splits are below, for tickets tickets and details go to mirafestival.com. For tickets tickets and details go to mirafestival.com.